Full Bench of Allahabad High Court in Yogesh Agarwal vs. Union of India held that eviction order passed under Section 5A of the Public Premises (Eviction of Unauthorized Occupants) Act, 1971 is not appealable. Bench comprising of the Chief Justice Hon’ble Dr DhananjayaYeshwantChandrachud, Justices Manoj Kumar Gupta and YashwantVarma held that High Court in the exercise of its jurisdiction under Article 226 cannot create the remedy of an appeal. Taking a cue out of his co-actor KikuSharda’s arrest, actor Ali Asgar approached the Bombay High Court on Friday and was granted anticipatory bail by Justice A.S. Gadkari for a period of one week, enabling him to move the concerned Court in Haryana. The bail has been granted on the condition that in the event of Mr. Asgar’s arrest, he shall be released on his furnishing a bond of Rs. 25,000 with one or two solvent sureties in the like amount. The High Court held that the husband filing divorce petition, would be no justification for the wife to file criminal cases making wild allegations which she is unable to prove. Division Bench comprising of Justices A.I.S. Cheema and R.M. Borde said that the husband is entitled to get divorce from his wife who subjected him and his family to cruelty by lining up false cases against him and his family. High Court of Chhattisgarh held that the exclusion of widowed daughter-in-law in compassionate appointment policy is constitutionally impermissible and to that extent void. Justice Sanjay K. Agrawal made this observation in DuliyaBai Yadav vs. State of Chhattisgarh. 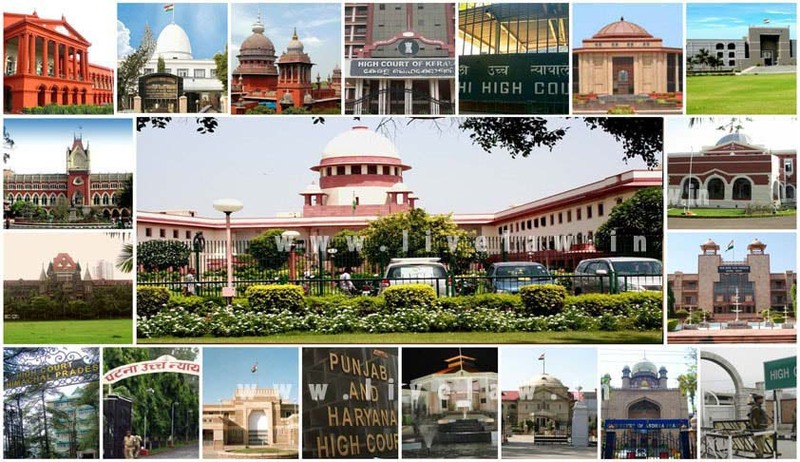 Delhi High Court, on Friday, called upon the Courts to invoke Section 209 of the Indian Penal Code in appropriate cases against the litigants who indulge in false claims. Justice J.R. Midha of Delhi High Court said that the litigants indulge in false claims because of the confidence that no action will be taken. Delhi High Court, in ShailSahni vs. Valsa Sara Mathew, took an RTI applicant to task for filing vague and irrelevant RTI queries. Justice Man Mohan of Delhi High Court imposed costs of Rs. 25,000 on the applicant who approached had High Court seeking compensation of 4 Lakhs. The Madras High Court adjourned a PIL seeking to declare a rule of Tamil Nadu’s Hindu Religious and Charitable Endowments (HR&CE) department as unconstitutional, preventing women from entering temples during a particular period, by two months.